On September 6, 1965, in an effort to stave off military disaster in Jammu & Kashmir, Indian troops crossed the international border near Wagah and lunged towards Lahore on three different lines of advance. Thus began the second round of the India-Pakistan war, which ended in a stalemate. Pakistan has long celebrated the date as the “Defence Day”, conveniently forgetting that through the year it had been needling India. Beginning with a diversionary attack in Kutch in April, it had stepped up shelling of the Srinagar-Leh Highway, compelling India to twice capture (and return) the heights around Kargil. Then in August 1965, it sent an army of irregulars, or actually regulars who claimed to be Kashmiri freedom fighters, to trigger off an uprising in the Valley. That move, code-named Operation Gibraltar, failed and the coherent Indian response led to the capture of the Haji Pir Pass. In some panic, because he thought Muzaffarabad was the next target, the Pakistani general commanding the operation, Lt Gen Akhtar Hussain Malik launched a powerful armoured attack on Chamb and advanced towards Akhnur. This Operation Grand Slam would have immediately cut off an entire Indian division in Poonch and Rajauri, and could have led to the cutting of the Jammu-Srinagar highway as well. Fortunately for India, the Pakistani thrust inexplicably stalled for two days and Pakistan changed its commanders. 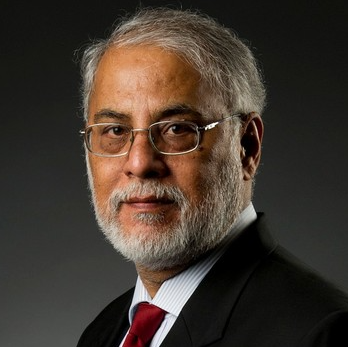 Why they changed a warhorse in midstream is not known, but some argue that it was because Malik was a Qadiani and his replacement Yahya Khan, a protégé of Pakistan Army chief Mohammed Musa, wanted to grab the credit for the victory that never came. This was because India moved on Lahore and Sialkot. In both instances, the Indian plan was not to capture the cities—that would have required an enormous military commitment. It was to capture strategically significant territory up to the Ichogil Canal and inflict a military defeat on Pakistan. Simultaneously, by reaching the canal which doubled as a well prepared anti-tank obstacle, the Indian move was also aimed at preventing a Pakistani attack on India, since there was no comparable water obstacle on the Indian side. India’s main military thrust was through the 1 Corps towards Sialkot, which was launched on September 7, a day after the Lahore attack. This formation was given the pride of the Army—1 Armoured division. However, its thrust stalled just 6 km into Pakistan. On September 6, three divisions had moved towards Lahore, with a view of establishing themselves along the Ichogil canal. The Pakistanis were taken by surprise, but considering the threat to their premier northern city, they rallied quickly. 15 Division actually reached the canal unhindered and the 3 Jat captured Batapore on the outskirts of Lahore by 11.30 that morning. But after waiting for reinforcements, they pulled back to their launch point. The Army had moved without informing the Indian Air Force, as a result when then PAF took to the air, they had a field day in shooting up the Indian forces. 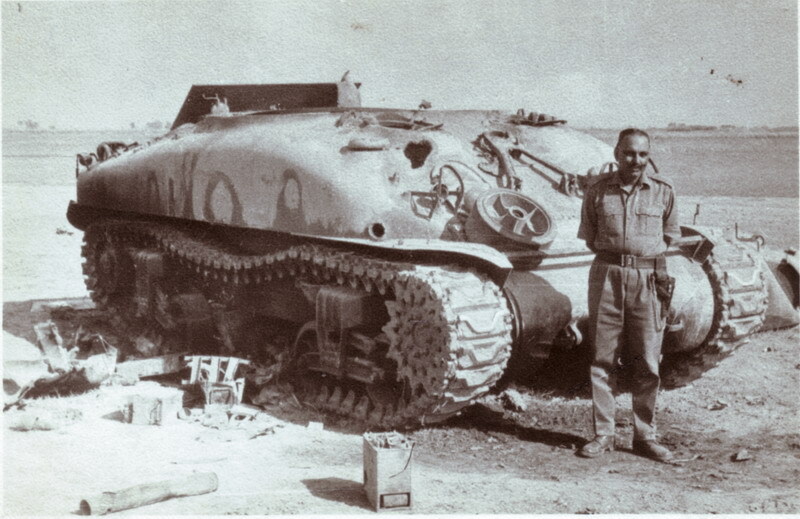 7 Division slugged it out and captured Burki, but the 4 Division moving from Khem Karan ran into Pakistan’s main force, built around its 1 Armoured division which was planning an audacious attack into India. In the end, defence alone triumphed—the Pakistanis successfully blocked our 1 Corps attack in Sialkot and the XI Corps thrust to Lahore. In turn, India managed to scupper the Pakistani offensive in Khem Karan in the battle of Asal Uttar, which could have got us into trouble, had the well conceived plan been implemented with a modicum of competence. The 1965 war was able to remove some of the blot on the Indian Army’s 1962 performance. But, not everything was hunky dory. There were several instances of units breaking and fleeing in the face of fire. The worst instance was the loss of nerve of the 15 Division Commander Niranjan Prasad who was sacked. Indeed, in assessing the performance of his commanders, Lt Gen Harbakshsh Singh, the chief of the Western command which did most of the fighting, said that the XI Corps performance was “a sickening repetition of command failures leading the sacrifice of a series of cheap victories.” Of the prestigious 1 Corps, he opined, “With the exception of a few minor successes …the operational performance was virtually a catalogue of lost victories.” (Lt Gen Harbakshsh Singh, War Despatches: Indo-Pak Conflict of 1965 New Delhi, Lancers, 1999). In two key battles, for example, Indian forces captured their objectives—Dograi in Lahore and Phillora in the 1 Corps sector, early in the war, but pusillanimous commanders pulled them back and they had to be recaptured later, well after the attacks had lost their momentum. In essence, what mattered in the end was not the martial race or reputation of the division or battalion, but the quality of leadership. By and large at the basic battalion and regimental level the system functioned well, but at the brigade, division and Corps level, it faltered. In great measure this was because of inexperience. The essence of military art is the ability to manoeuvre large bodies of men and equipment to overwhelm the adversary. This requires considerable skill and nerve and, as Napoleon once said, luck. This underscores the importance of realistic training and exercises during peacetime, as well as the quality of military education at all levels. Pakistan failed spectacularly in its gamble to change the situation in Jammu & Kashmir. Indian aims were reactive and modest—to prevent a Pakistani victory and to deter Pakistan from future adventures by teaching it a lesson. Unfortunately, because of the indecisive showing of its army, it was able to achieve the first goal, but not the second. That required yet another war in 1971. The eventual measure of success or failure was the politico-military situation in both countries after the war. Pakistan saw Z A Bhutto, the real architect of the war resign after the Tashkent Agreement and the fatal weakening of the Ayub presidency. It also marked a new phase in East Pakistan’s demand for autonomy which eventually led to the creation of Bangladesh. In India there was political turmoil after Shastri’s death and Indira Gandhi’s succession, but that had nothing to do with the outcome of the war. The war came at an interesting conjuncture in the global situation. The Sino-Soviet split had just appeared and the United States was on the verge of initiating its Vietnam commitment. The Chinese conducted their first nuclear test in October 1964, weeks after General Secretary Nikita Khrushchev had been ousted. Pakistan was a member of CENTO and SEATO, but by now it was quite far gone with its Chinese connection. Indeed, it was also responding to Soviet overtures Ayub had visited both Moscow and Beijing in the months leading to the war. India had learnt a harsh lesson that neither NAM, nor the Afro-Asian group would come to its aid. It was, in fact, bi-aligned with the US and the USSR. It was difficult to forget that between 1960-1964, it had staved off starvation with 17 million tons of American food aid, that the 1965 monsoon had failed and the American President Johnson had put New Delhi on a short-tether policy and was dribbling out further aid on a monthly basis. Given the sinister Chinese moves during the war, it is not clear to what extent Beijing played a role in goading the Pakistanis. This was the first war that saw, what is now a familiar pattern, of Pakistani leaders rushing off to China to seek succour after getting into trouble with India. Ayub carried out a secret visit to Beijing on September 19-20, two days before the ceasefire. The Chinese encouraged him to fight on through a “people’s war” if necessary, but Ayub decided that discretion was the better part of valour. Note: The caption of the photograph has been edited to correct the type of the tank. It is a Sherman and not a Patton.